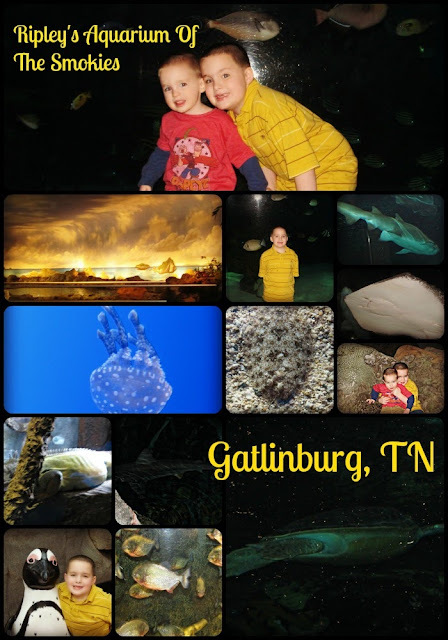 One of the highlights of our trip to Pigeon Forge/Gatlinburg was our trip to Ripley's Aquarium of the Smokies! If I had to completely and totally honest, this was our favorite part of the trip! I will admit, I wasn't too sure at first... I knew that the boys were going to have a great time at the aquarium, but I didn't think I would. I am more of a "zoo" type of girl, and I honestly expected to be in and out and done within an hour or so.. I mean, it was just fish and stuff, right? I think that I had the most fun of anyone during our trip to the aquarium, believe it or not! First of all, the building itself is pretty spectacular. Even during the day, when it's not all lit up and cool, it is gorgeous! Just a really cool place! We went to the aquarium first thing in the morning on our second day of our trip. It was pretty chilly, around mid forties, but nothing like I was anticipating with snow, etc.. We actually had some tornado warnings, and the parking lot where we parked the car got completely flooded during our visit! Crazy Winter Weather!!! Anywho, back to the aquarium. First of all, we picked up our media tickets at the ticket desk. Everyone was so friendly and helpful! It was so nice to be able to chat and relax with the customer service people! Sometimes a review visit is ruined for me before I even begin by rude or just unfriendly service, but not this time! It was such a welcome change! I would like to say that this place is absolutely spectacular! It is so nicely done, big and spacious and airy. Not dark and musty like other aquariums I have been to. Like I said before, I had more fun than anyone else! We ended up staying for something crazy like four and a half hours! It's so nicely done, and being late January, the whole place was almost completely deserted, which I have to say that I loved! 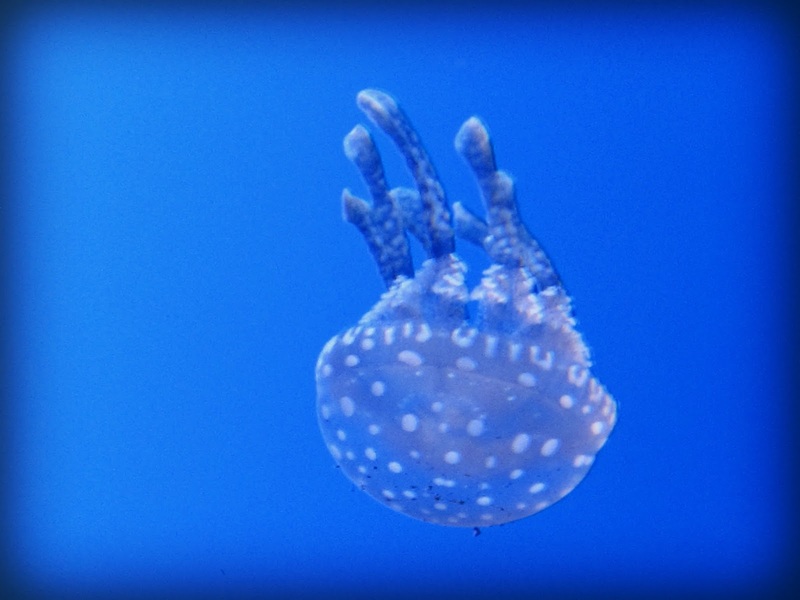 The jellyfish were one of our family's favorite parts! I got some great pictures of them and the boys were just beside themselves in amazement! They really couldn't believe what they were seeing LOL! The only jellyfish they have ever even heard of were from Spongebob, so seeing one up close and personal really did it for them! 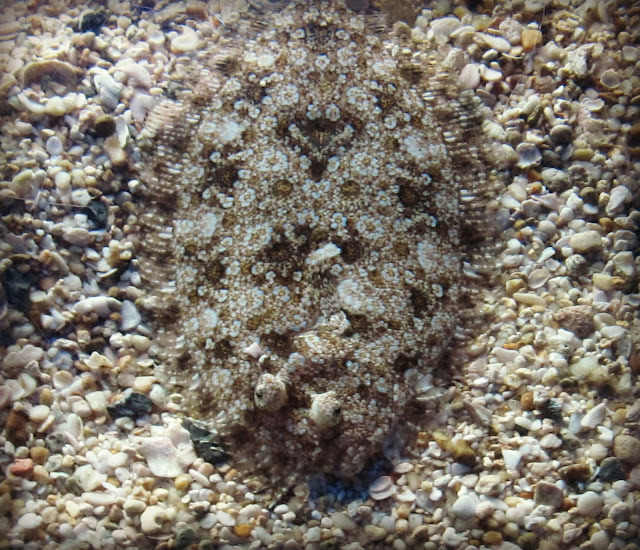 I really thought that perhaps the aquarium's wonderful ratings on TripAdvisor (#1 attraction!! Excellent!!) were overrated... I mean, how cool could an aquarium be? But, I was SO wrong! This place deserves every single award and word of praise! With over 10,000 sea creatures and more than 350 different species, my family really and truly did get a chance to see things that we have never dreamed of! Next favorite part? The tunnel! How could you not love a tunnel, with a glass top, and moving floor!? You can see everything in that tunnel,and watching the sharks, turtles, and other amazing creatures swim over your head was really amazing! You can stay on the moving floor and pass through on your own, or if you need to step off and get a closer look, you can do that too! The aquarium just keeps right on coming! The giant crabs were another awesome part that the boys really enjoyed as well! I think my sister and I had our own favorite part! There is this really cool shark tank, where you can stick your head up and see a shark up close and personal.. Well, this shark that was in the tank, we aren't sure if he loved us or wanted to eat us, but he really was interested in us. We would go from one side of the tank to the other, and he followed us back and forth and back and forth. It was so funny! I think he probably wanted to eat us, but I will pretend that we loved us and that's why he was hanging out with us! Haha! 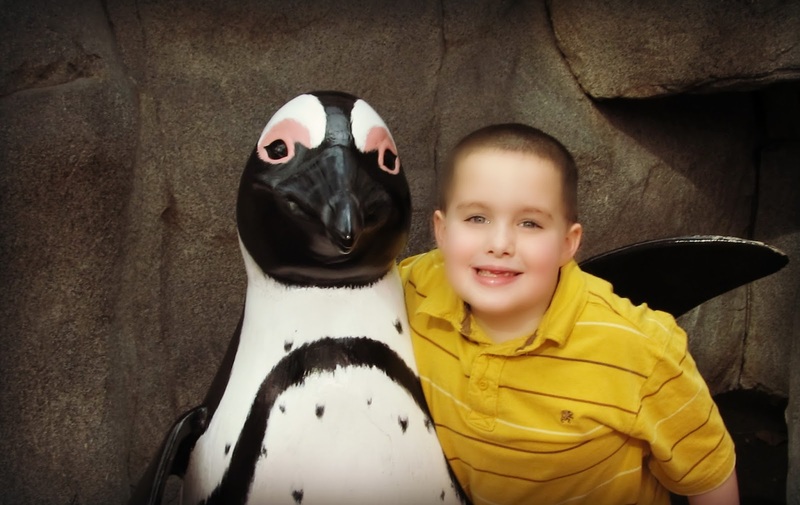 Another one of our favorite parts was the penguins! Who doesn't love penguins!? We spent a good hour at the penguin exhibit, checking them all out and having a great time! Be sure to check out the gift shop on your way out, we got some amazing treasures there that my boys really have enjoyed since our visit! I can't believe I underestimated this aquarium! If you have never been, you need to go NOW! You really won't regret it, I promise! I can't tell you much about crowds, but I hear that after 4pm every day is a great time to go... Of course with it being January/tornado/flooding/snowy weather on our trip, we didn't have to worry about crowds haha! 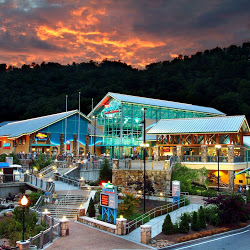 If you get hungry, there's a great little restaurant inside the aquarium called The Feeding Frenzy! Combos are around $9 for adults, $6 for kids.. Not too pricey considering where you are and what you're doing! You want to also make sure to hang around to touch a stingray in the stingray bay! Divers bring them around every few minutes to make sure everyone gets a turn! disclosure: i received complimentary tickets to this attraction in exchange for my honest review. All opinions, as always, are my own! My family loves the aquarium. 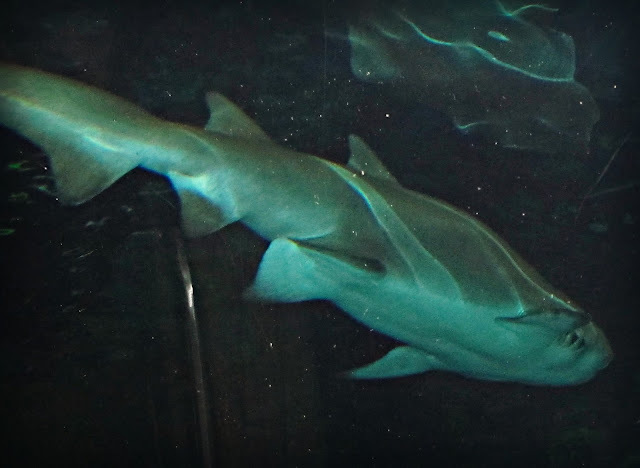 I admit on our first visit, I wasn't really familiar with the aquarium and didn't expect much. My family loved it because of the variety of creatures. We were surprised to see so much variety.